Happy St. Patrick’s Day! 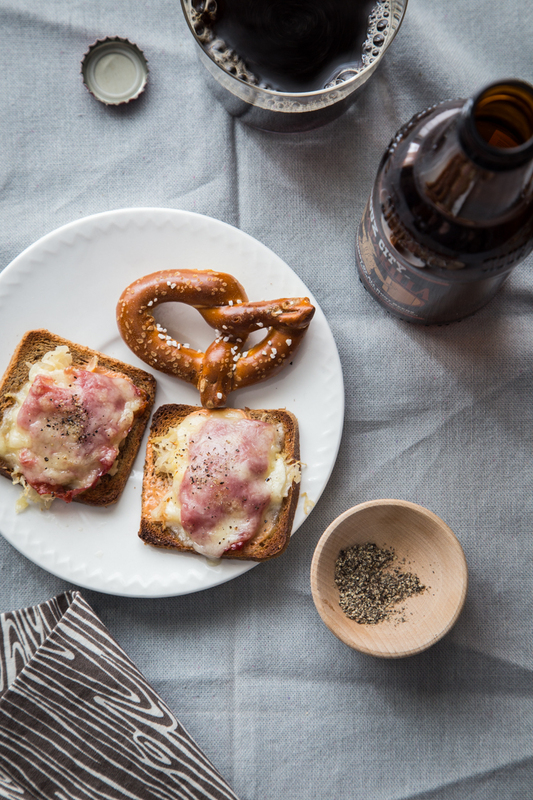 In honor of this festive holiday that happens to fall on a Tuesday this year, I’m sharing an incredibly delicious toast recipe: Mini Reuben Toasts. 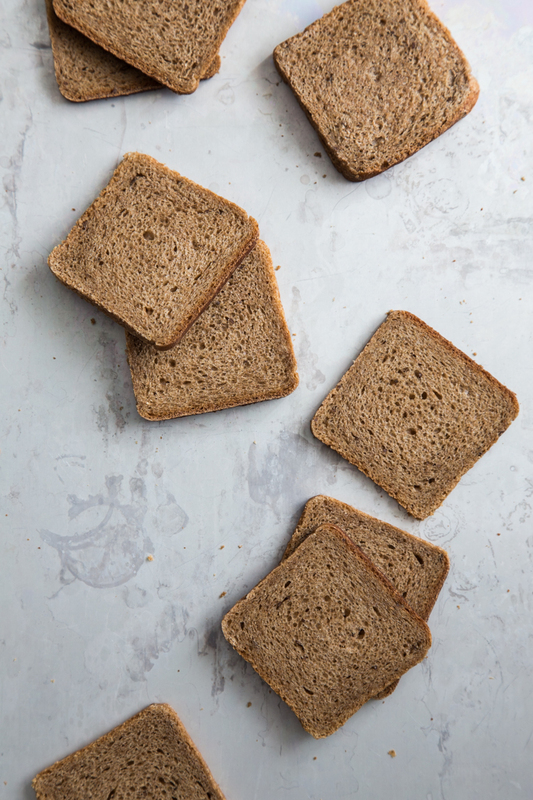 These little toasts are made with toasted party rye bread and topped with Thousand Island Dressing, sauerkraut, corn beef and lacy Swiss cheese. Simple to make and a total crowd pleaser. 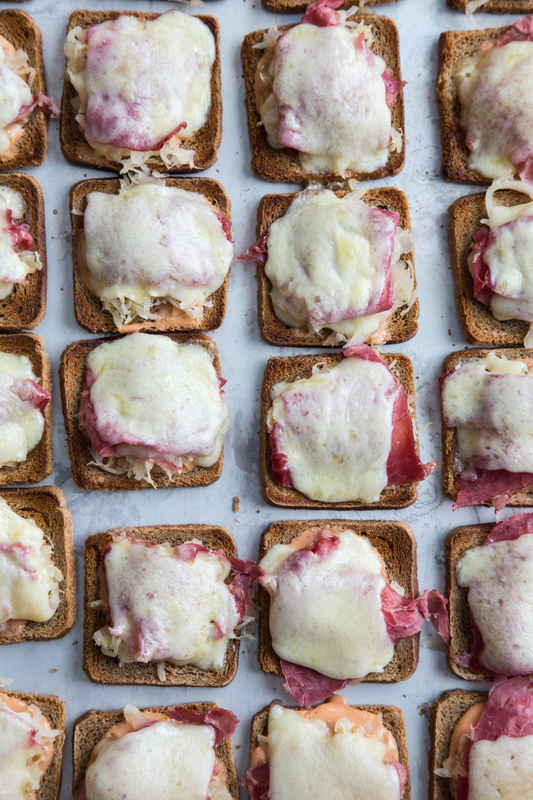 I shared this mini reuben toasts recipe on Food Fanatic over the weekend but wanted to be sure to share it here, too. Are you looking for some other quick St. Patrick’s Day treats? Check out these Mini Guinness Chocolate Floats or these Irish Coffee Granitas. I make it no secret that I love cocktails, but on St. Patrick’s Day, you canNOT go wrong with a good ‘ol Guinness. 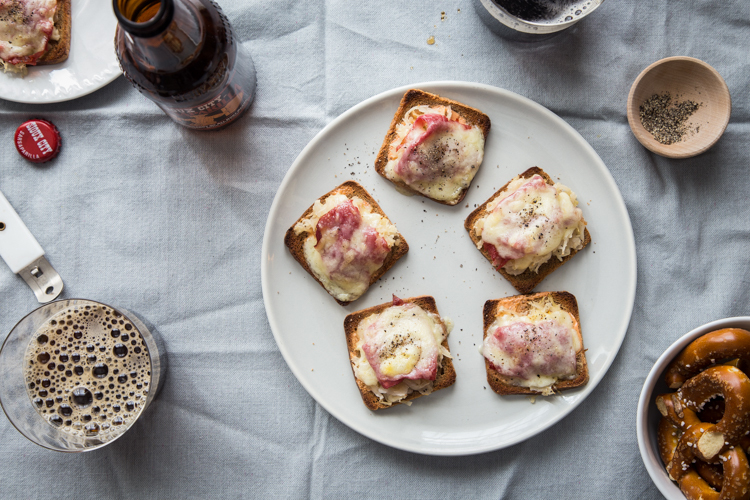 A Guinness with a tray of these toasty, cheesy reuben toasts sounds pretty great for tonight. For my St. Patrick’s Day, I’m actually hanging out in Birmingham, Alabama. 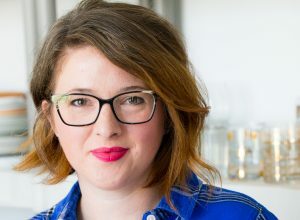 I’m with a great group of bloggers, spending some time in the Southern Living Test kitchens and getting the scoop on how a magazine test kitchen works. Be sure to follow along on twitter and instagram as I’ll be sharing some of the fun things we’ll be seeing. Last night’s dinner at Saw’s BBQ was pretty fantastic! I can’t wait to share more about it when I return home. In the mean time, I hope you have an awesome and safe St. Patrick’s Day! These are so cute and yummy looking! I could eat the whole plate!